FADE OUT On Sale Today! Giveaway Winners Announced! And now it’s time to announce the winners of the Fade Out giveaway. In honor of the narrator, Dani, whose all-time favorite movie star in the universe is Rita Hayworth, I asked people to tell me their favorite movie star for a chance to win a *signed and personalized* copy of the book. My favorite is Vivien Leigh. That woman went for things. She always knew what she wanted and never let anything stop her from trying. She had so much passion, so much energy and drive. She also had illness and rage and deep, deep doubt. But she was beautiful and stunning and I love her. (Also, my mom decided to spell my middle name “Leigh” because of her.) Cool giveaway! My favourite movie star is Helena Bonham Carter and I love her because of her incredible style! She is drop-dead gorgeous, funny and super eccentric – and that is mirrored in her choice of movie roles and private style – it catches eyes! Most memorable the moment when she was appointed CBE by the British Queen and came in something close to a steampunk outfit! Congrats to you both! I will email for your mailing addresses. Thank you so much to everyone who entered. …and Rita Hayworth is in it (well, in Dani’s imagination, at least!). Happy Second Life, Dani Noir! I have a new cover to show you… and it is gorgeous. First, in case you missed this recent news, my first novel Dani Noir is getting a second chance at life… and you happened to my blog on the perfect day, because you’re about to see its new cover! Today is the day I’m revealing it! Wait, why the second life, you might ask? 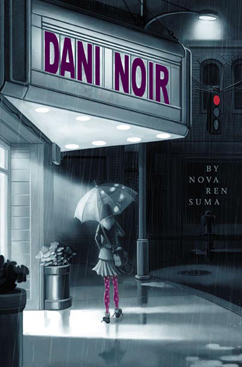 Dani Noir—my novel about big lies, big secrets, and the thirteen-year-old girl obsessed with old black-and-white noir movies and the femme fatale Rita Hayworth—came out in hardcover and ebook from Simon & Schuster / Aladdin as a tween novel in 2009… but not in paperback. Some of you may remember that this was the novel I sold on my own, without an agent. 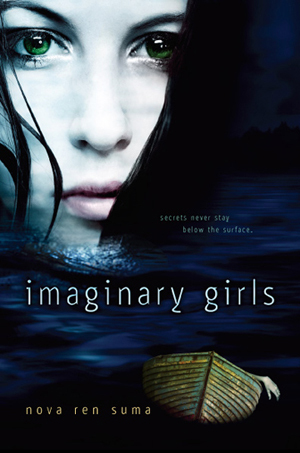 The book sort of disappeared after its hardcover release, to the point where many people seemed to think that Imaginary Girls, which came out in 2011 from Dutton Books, was my first published novel. Not so. Simon & Schuster had some wonderful other plans, and now my first book is not only coming out in paperback this summer from a different imprint at S&S… it’s about to reach a new audience. Look for Fade Out on the YA shelves in June 2012 from Simon Pulse! 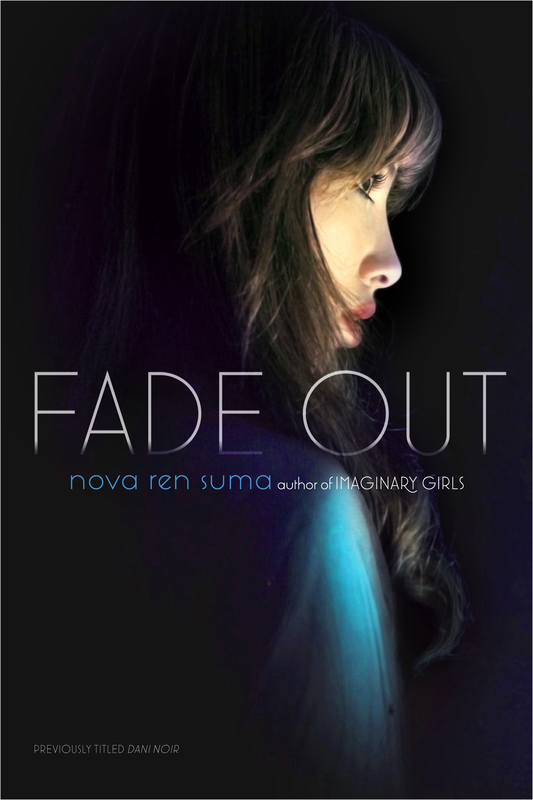 And since Fade Out is now being reissued as a YA title, that means it needed an older, more sophisticated cover. “If this were a movie, I’d jump out the window. A good enough plan, I guess. But if this were an old movie, like from the 1940s before all that color, the kind of movie called a ‘film,’ one where you’d find someone like Rita Hayworth, I wouldn’t even have to jump. It’d be nighttime, of course, not 4:42 in the afternoon. There’d be this killer bright light coming in from the window, but in it you’d only see half my face. It’s more cinematic that way. My hair’s dark—no other word to call it but brown—but in this movie it would be pitch-black. It would shine. And I wouldn’t be wearing shorts—I’d have on some long, sparkly dress. Oh—and heels like the spiky ones my mom keeps in the back of her closet even though they hurt her ankles and who knows why she still has them. Plus a hat. I’d have to wear a hat. Back then, girls always wore hats. Yes, I can tell you that this is a cover Dani herself would love for her book. It’s a cover worthy of a femme fatale. Wow, how long am I going to prolong this cover reveal? As Dani would say: Are you asleep yet? Will you shut up so we can see it? I’m thrilled to be working with Anica Mrose Rissi at Simon Pulse—the editor who made this reissue happen! !—and all the more thrilled by this cover she gave the book. Thank you, Anica! Thank you to the designers at Simon Pulse who came up with this gorgeousness. Fade Out will be published in trade paperback on June 5, 2012, from Simon Pulse… the same month Imaginary Girls will also be published in paperback. Hopefully you’ll find them snuggling each other on the same bookstore or library shelf and want to grab them both. I think they’ll look good together. What do you think of the Fade Out cover? If you’ve read Dani Noir or if you haven’t and will pick up the book for the first time this June, comment and let me know! Here are some things to tell you, and none of them have to do with my word count. Thank you for reading the “What Inspires You?” blog series running all this month—and very special thanks to all the writers who generously contributed guest blogs for this series. I took a few days off from posting guest blogs when I was away for Thanksgiving, but I’ll post a new one starting Monday and more through November 30. I hope you’ll come back and read them—they’re beautiful! Putting together these blog series—first “What Scares You?” and now “What Inspires You?”—certainly kept me busy and happily distracted during these in-between writing weeks. And I’m not done yet. Plus, you’ll have chances to win some signed ARCs and pre-orders of their books! I keep getting asked when my next new book will be out, and if I have one. I do. Really! I don’t know if the title will stick, so I’ll keep that secret for now, but I can tell you that this creepy new novel of mine will be coming out from Dutton Books in 2013. 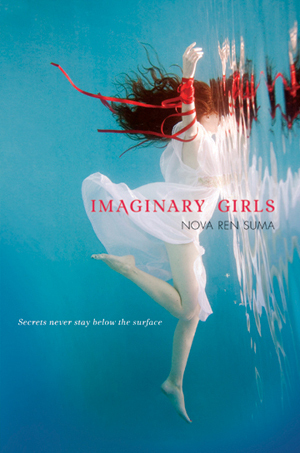 It’s not a sequel to Imaginary Girls (I keep getting asked this, too). I don’t tend to write books that have sequels, or are part of a series or a trilogy. So it is its own thing. More on just what this is soon. In the meantime, I will have two paperback releases in June 2012. The first is Imaginary Girls, coming to paperback from Speak, an imprint of Penguin… and if you haven’t seen the new look in paperback, you should read this post. Well, Dani Noir never did get published in paperback, and I was sad about that. I thought that was the end to this book. This is really happening! For the longest time, I thought Dani Noir would never have a life in paperback, and thanks to Simon Pulse—and to a wonderful editor there: Anica Mrose Rissi—the book has a new opportunity to find its way to readers! If you have questions about Dani Noir vs. Fade Out, please see my website FAQ. Wait, What’s That About a Cover Reveal on Monday? You read that right. I’ve been given permission to reveal the cover of Fade Out. I think I’ll do that on Monday! I reached page 50 the day before Thanksgiving, just minutes before I had to leave for the train. I revise and polish as I go, so I’m getting very close to being able to show what I have to important people and see if this can be my fourth book! …two things on this lovely rainy (that can’t be snow, can it??) day, and neither of them is an April Fool. I was the “First First” interview for April on Desirous of Everything today. There I talk about my first book Dani Noir, how I found the voice of my snarky overimaginative 13-year-old narrator, and how it was my first book published but not the first (or even the second) book I wrote. I was also asked if blogging here interferes with writing my novels. What do you think I said to that? Read the interview here. And a group of kidlit authors have gotten together to hold an auction to raise money to help Japan after the devastating earthquake and tsunami. The Write Hope auction is donating to Save the Children’s emergency relief fund—and today the writer Debra Driza donated a copy of an ARC of Imaginary Girls and put it up for auction. I’ll sign and personalize it, and I’ll include some Imaginary Girls bookmarks. (Which I do have! More on those bookmarks later.) Here’s where you can bid in the auction to help Japan and get an advanced copy of my book. That’s it for today. Back into the writing cave.